Work For Good is a career website dedicated to nonprofits. As a nonprofit company itself, it understands the sector and provides an excellent platform for connecting candidates to nonprofits. The site functions like most traditional job boards. It's easy to navigate and has strong search and filter features. It has a high volume of organizations and opportunities to explore. If you are interested in starting or growing your career with purpose-driven organizations, Work For Good is a great option. For employers, Work For Good has affordable job posting options and features such as an employer page and directory listing. disABLEDperson.com is a career website for matching people with disabilities to employment opportunities. The site functions like most traditional job boards, with the ability to search jobs and post your resume to be discovered by employers. They also provide email and text alerts. The site is national but allows for local search. The jobs listed are posted directly by employers, and not aggregated from other sites. The site is also a great knowledgebase for job seekers and employers. For employers, the job posting fees are very reasonable and there are also banner advertising and resume searching options. Hirepurpose is a career website for transitioning service members, veterans, and military spouses. Users can explore companies, search jobs, and utilize the career center, which includes support and information to assist with resumes, interviewing, networking, and more. For employers, Hirepurpose is an excellent service for promoting your opportunities and reaching military talent. Veterati is a platform that connects service members, veterans, and military spouses to mentors who are professionals in fields such as recruiting and workforce development. Veterans face many challenges when transitioning into or back into the workforce. Mentorship from successful and knowledgeable professionals can make an enormous difference. There is no cost to participate. For those interested in mentoring, the process is easy and the time commitment is entirely up to you. A truly innovative initiative, Grads of Life connects employers with Opportunity Youth (those motivated and driven youths, aged 16-24, who have yet to obtain a college credential) to develop engaged talent pools. A resume rarely tells the whole story of a candidate's character and potential. 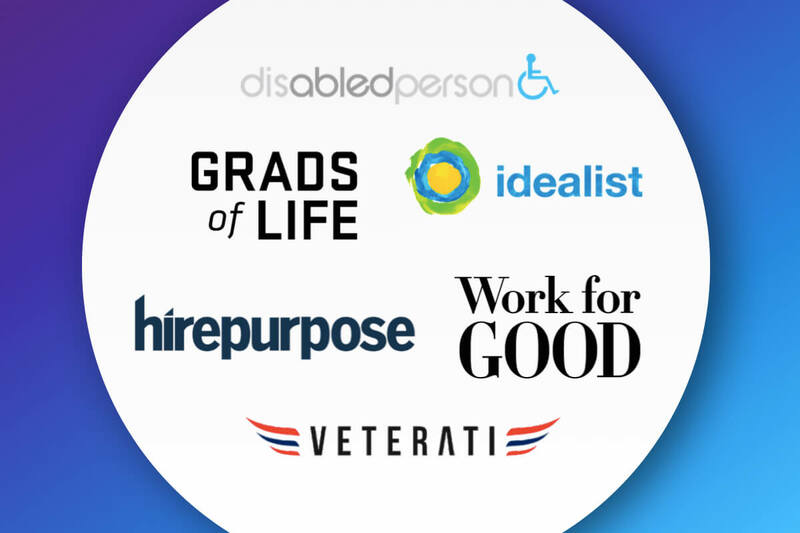 Grads of Life is helping to make valuable connections between employers, training providers, and candidates with the goal of filling, enriching, and diversifying the talent pipelines for organizations. Idealist.org is a service that connects people with opportunities within nonprofits, government agencies, and social enterprises. The goal is to help bridge gaps between opportunities and action. Users can search for jobs, internships, and volunteer roles. It's also easy to explore organizations and events. Additional features include career advice and a grad school resource center. Organizations can post listings for a reasonable fee.